«This fragrance On s’était dit is the fruit of a bold choice of ingredients that places a strong focus on sophistication and elegance. The aromatic citrus notes provide a refreshing coolness and a sense of intimacy, while caraway and cardamom offer a resolute, authentic feel. Woody and spicy notes provide character and stunning sensuality. Pepper and carrot seeds are truly exceptional raw materials with a range of facets that are extremely energizing, rich and voluptuous, giving this fragrance added sparkle and a real olfactory identity. 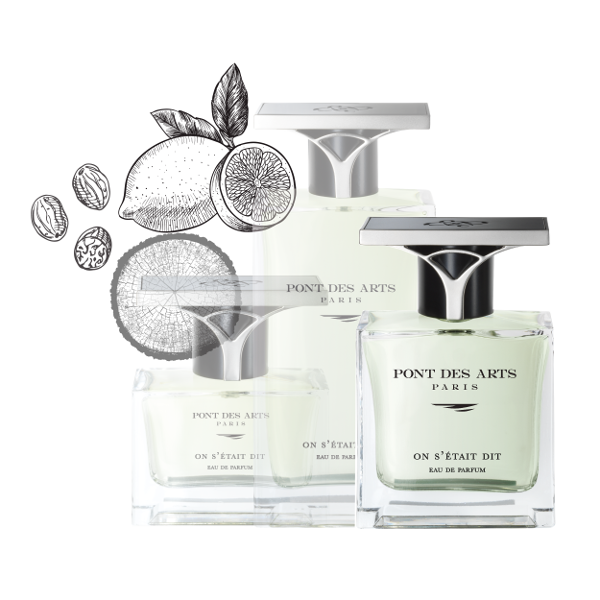 On s’était dit is an audacious and incomparable fragrance, sensual and refined.